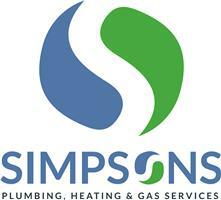 Simpsons Plumbing Heating and Gas Services - Central Heating Engineer, Plumber based in Houghton Le Spring, Tyne and Wear. Established in 2013 and with over 10 years of industry experience we are a Houghton le spring based family run business with a wealth of skill, knowledge and experience in the plumbing and heating industry. Our friendly and reliable team work hard to maintain our reputation as one of North East’s most trustworthy in the Plumbing & Heating Industry we pride ourselves on the quality of our work and our customer service skills we strive to leave our customers with a smile on there faces and a job well done. All of our estimates are free, with no obligation quotations. We cover all of the North-East area Durham to Northumberland.